If you live in North Carolina, there is a strong chance that you are snowed in right now, as we are. I love snow days! Mostly because Jordan is home during the day and it’s a great excuse to wear your pj’s all day and watch movies; but also because the view outside of our windows is absolutely stunning! 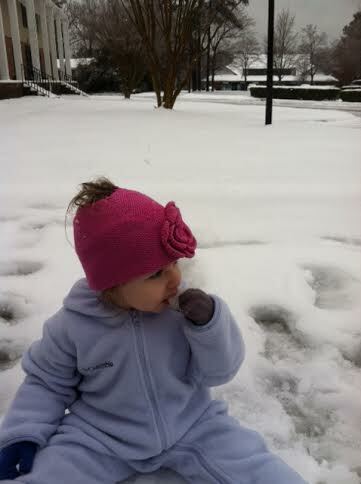 If you have a toddler though, you know that as fun as snow days can be, they can also be hard. It doesn’t take much to feel stir crazy and you may find yourself frequenting Pinterest in desperate search of activities to keep your little one busy and make playing indoors in the warmth more fun ;). So for the past couple of days I’ve been working on developing/collecting some Toddler Bible Activities. I’m sure some of you other toddler mamas can relate, but I have recently found myself in the transition phase where it’s not just about changing diapers, feeding, bathing and helping them sleep, but additionally needing to be more intentional with teaching them and working on things like discipline, numbers, obedience, cleaning up, etc. Anyway, I’ve compiled some ideas and I wanted to document them so that I can access them again in the future, and also to share it with anyone else who might be interested and find them helpful. I want to mention that I usually have difficulty getting my little one to stay still for more than 2 minutes for crafts, and I have found it helpful to have very low expectations for completing activities with her. But I’m also learning that just trying and opting for simple activities and lessons is fun for both of us and is usually worth the effort and planning. Part of what has been fun for me in working on this project is that it uses some of the gifts and skills that I developed when I was in full time ministry. I think it is a necessary and amazing thing for us mamas to use who God has created us to be and the gifts that He has given us in our parenting. We can get so caught up in comparing ourselves to other mamas or feeling bad about the things that we are not as good at that we neglect to feel the freedom to insert our own passions and giftings in parenting, and to press into the areas of parenting that we enjoy the most. One of my favorite parts of ministry with college students when I worked for Greek InterVarsity was developing Bible studies for sorority women. So this has been a really fun challenge for me to figure out how to do that now for my 2 year old daughter. So anyway, here you go! Below are some ideas for toddler bible activities. Some of them are my own ideas, others I have adapted from this website (a great resource). It would be helpful to have a children’s Bible (we usually use the Jesus Storybook Bible), but most of the other supplies you probably already have on hand. I have only done three of the activities so far. I would like to try to do one a day, but again: low expectations ;). Obviously, the older your toddler is, the more focused these activities can be. Younger ones need things to be really simple and they may still have trouble sitting still or may not have interest in engaging in some of them. We may not see a ton of payoff from this now, but it is such an honor and a huge calling to disciple the souls of these little people who have been entrusted to us. *For each activity, either read the scripture before the activity, or if you have a toddler with the attention span that mine does, it might be better to read it while you are already doing the activity. I got this one from a friend (Thanks, Holly!). On a piece of construction paper, make a boat by gluing half of a paper plate on the bottom with a Popsicle stick and a triangle for a flag. Then have your little one put animals stickers two by two on the Ark. We did this one a couple of days ago. Later in the day, Riley pulled off all of the animal stickers and wore them on her arm instead, but it was still really cute and she had fun with it. If you’re in the middle of a snow storm like us, you can use snow for this activity but if not, white rice will work too. Take some snow (or rice) and divide it into two bowls. Let your little one add some red food coloring to one of the bowls and mix it up. Explain that God made our hearts to be pure like the white snow, but disobedience to God (sin) has stained our hearts, like the food dye did to the now red snow. But because of Jesus rising from the dead, we can now have hearts that are white as snow again by trusting in him! We did this one yesterday and Riley loved it! She doesn’t really have the patience yet to sit through a whole story from the Storybook Bible, so I started the activity with her first and then read the story while she worked on it. She played with this one for a while after, and there were still bowls of red sludge sitting on a towel in our kitchen up until bed time because she wouldn’t let me put them away! Help your little one build a wall with blocks or Dominos and have their dolls or some sort of figurines march around it and then knock it down! Make little sheep on sheets of construction paper by gluing on cotton balls. Then pretend to be a shepherd, and try to get your toddler to follow you (you can even make a staff out of a big staff or a broom to make it more fun). Then feed them a fun snack and explain that God leads us and takes care of us. Make a fort together out of blankets or couch cushions and play inside of it. Talk about how God protects us, like a fort. Make a shield out of a cardboard box and then throw a light bouncy ball or some other light item at the shield to show that God shields us and protects us. You can also use pillows as shields. Have your toddler stand in front of a mirror and talk about different body parts and how God made them. As they look at their reflection ask: “Where is your hair?” Once they point to it say, “God made your hair!” and ask them to say, “Thank you God for my hair!” Continue this with eyes, nose, ears, belly, hands, toes, etc. We did this one today, and I think it is my favorite so far. It was so adorable. And Riley loved it. She kept going back to the mirror and wanting to do it over and over again :). This activity also presents the perfect opportunity to pray with your child about their future body image/view of beauty. Place a toy boat in a bathtub or water bin filled with water. Together, make waves and observe how the boat gets tossed and turned. Then let the water calm down until the boat is still and upright again. Talk about how Jesus calmed the storm. Take a fun snack and divide it up into as many pieces as you can. Talk about what a miracle it was that Jesus fed 5,000 people with just 5 loaves of bread and 2 fish! Another option would be to invite a friend or neighbor over and see if you can take a simple snack and divide it into enough for everyone. Put together a little treasure hunt for your toddler (it can be as simple as hiding little toys or treats in easy spots) and ask them to find it. For example, ask them if they can find play dough somewhere in the kitchen, but hide it somewhere easy for them to find. Explain the parable of the hidden treasure. Wash your toddler’s feet in a large bowl of water or small water bin. You can simply use soap and water, or you can add a little essential oil or give them a little foot massage with lotion after you dry them off (Riley loves a foot massage with lotion). Talk about how Jesus washed the feet of his disciples. That’s all that I’ve got for now, but I hope to keep adding to the list. I’m sure there are so many other creative ways that you can teach your toddler about the Bible. I would love to hear other ideas or learn about other resources, so please share!